The former President and First Lady have had their portraits done, however of particular interest are the oddities within Obama’s portrait and the artist responsible for such. Firstly, there is the strange occurrence of possibly a sixth finger on Obama’s hand, and then, of course, the entire setting of the painting as well. However, regardless of symbolism and such, perhaps even more strange is the painter himself. Kehinde has done several portraits over the years, including one where a black woman is beheading a white woman. At what point is that acceptable? Furthermore, at what point is it acceptable that a former President of the United States has his portrait created by that particular artist? 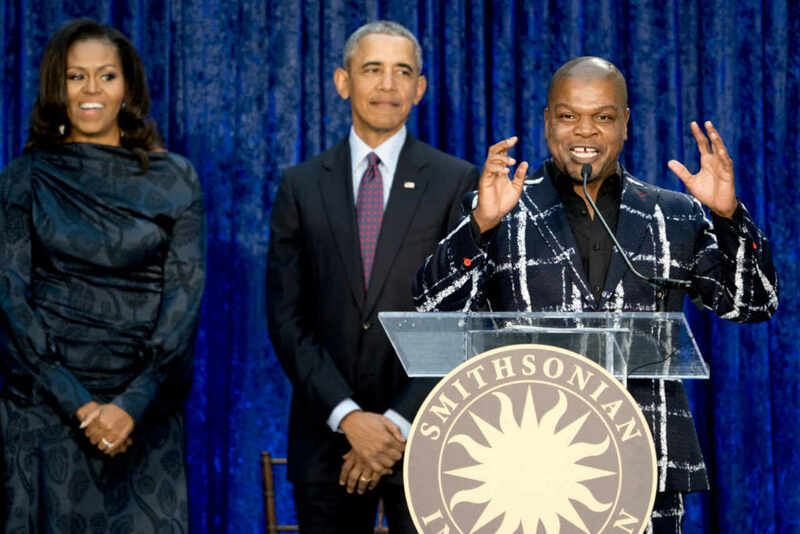 Credit: Kehinde Wiley Kehinde Wiley, the artist who painted former President Barack Obama’s official presidential portrait unveiled Monday, is facing scrutiny for past works that depict black women decapitating white women. The context of the imagery displayed can be described as a black woman decapitating a white woman as a means to display courage and power without historical context such as an instance in history, making this image a jab at normality and morality. The painting further depicts that it is acceptable for a black woman to assault, or murder, a white woman, when in reality such imagery is savage, as savage as ISIS beheading people across the Middle East. For a former President of the United States to not only support an artist whom has displayed an absolute disregard for morality but to utilize that same artist for his presidential portrait, not a family photo, raises striking questions about the motives of Barack Obama. However, could there be more to why exactly President Obama chose to utilize this particular artist, one who supports the beheading of white women? 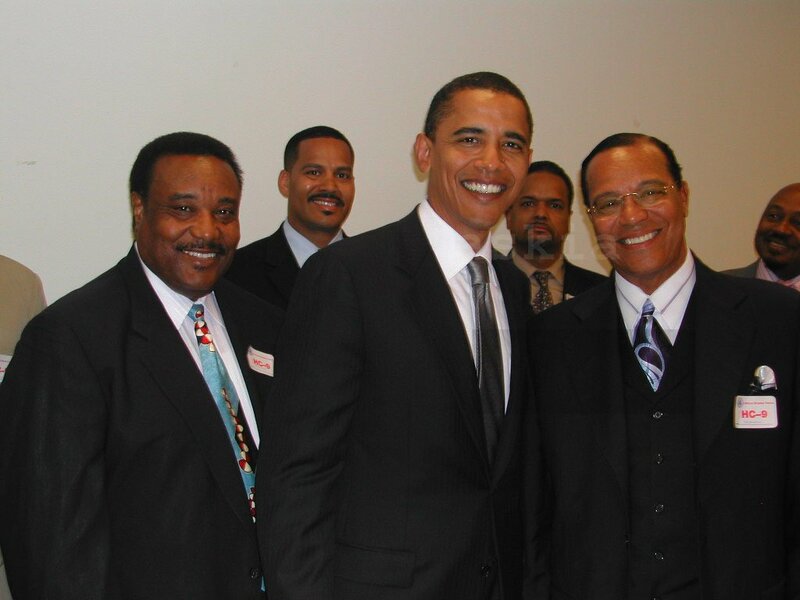 Recently an additional image surfaced, one from 2005, that happened to show Obama prior to becoming President rubbing shoulders and smiling with the Nation of Islam leader, Louis Farrakhan. Louis Farrakhan’s public rhetoric can be described in his own statements that amount to the moral acceptance of killing white people. On March 10th, 2015 Farrakhan stated that white people deserve to die and that black people should kill police officers. Previously Farrakhan had called for 10,000 men to retaliate against white Americans because of their alleged oppression of black people. Now, just what is the rhetoric of the former President of the United States being that he has both rubbed shoulders with Louis Farrakhan and utilized an artist who supports the beheading of white women? Kehinde Wiley. “.” Artsy. . (2016): . . The portrait displayed above was created and owned by Kehinde Wiley. 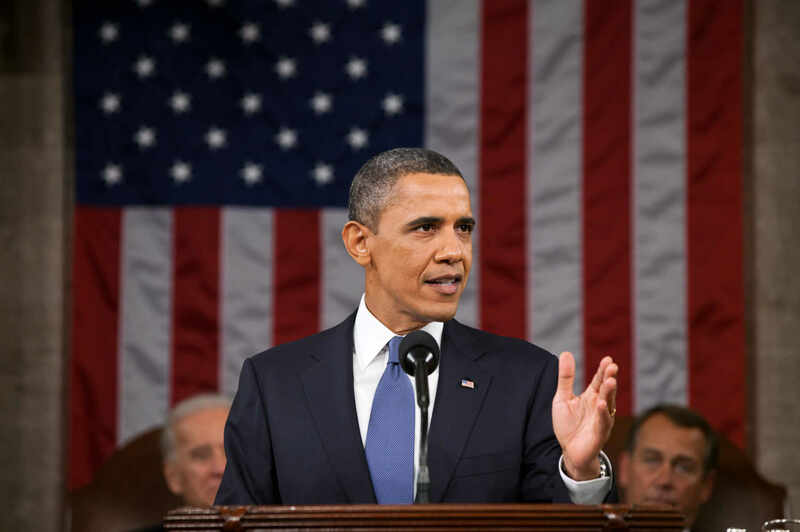 The purpose for utilization of this imagery in this report is subject to section Section 107 of the Copyright Act of 1976 which reads allowance is made for fair use for purposes such as criticism, comment, news reporting, teaching, scholarship, and research. Linda Dougherty. 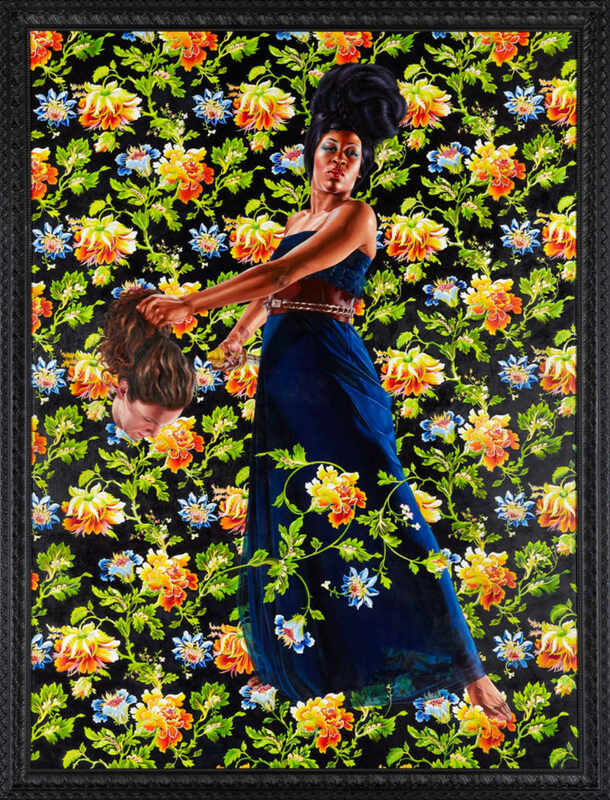 “New Acquisition by Kehinde Wiley.” North Carolina Art Muesuem. . (2012): . .
Gregory Tomlin. 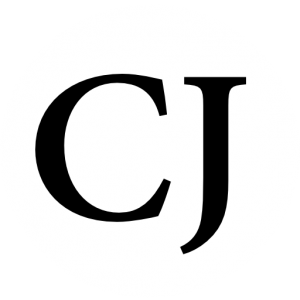 “'Stalk them and kill them,' Farrakhan says, calling for 10,000 volunteers to kill whites.” Christian Examiner . . (2015): . .
Andrew Harnik. “ Barack Obama, Michelle: What their portraits say about them and their artists.” Chicago Sun Times. . (2018): . .